Did you know, you can use the Reports sections to generate a large document made from multiple documents. Print a selection of documents or Export multiple Journals to a file. It's quite a powerful but simple operation. The method involves placing a flag marker against those documents you want. 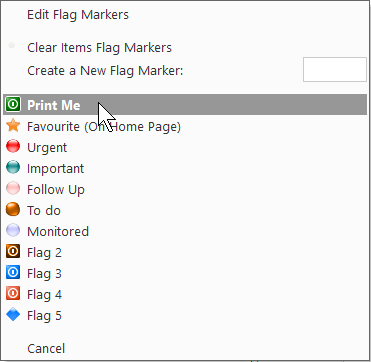 you then create a report using only the document body with the criteria of the Flag Marker that matches a particular set of text. 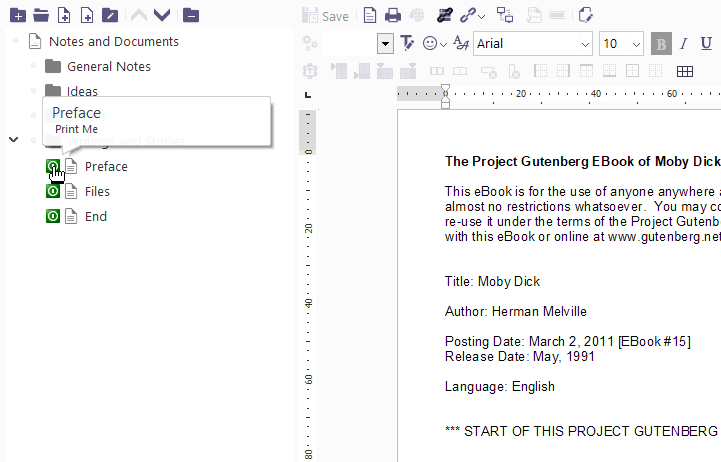 The out will then be a document that you can Print, Print Preview, Export or copy/paste as you wish. 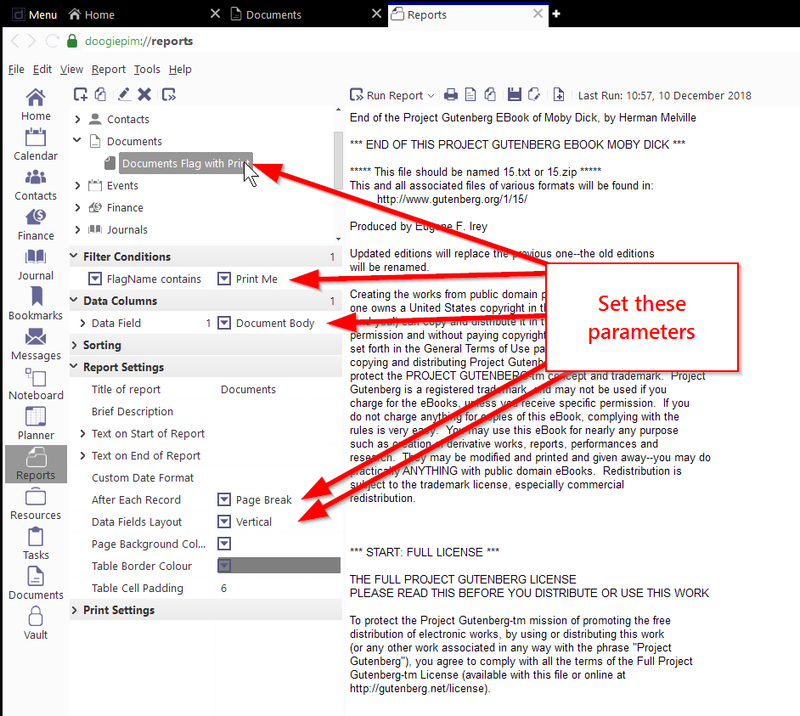 You can set a page break between documents if desired. 2. Flag the Documents you want. 3. Create a Report and Run it.